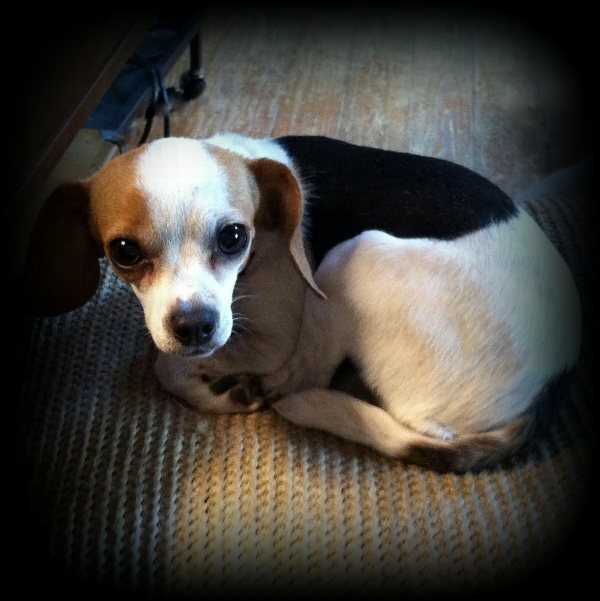 Queen Elizabeth Pocket Beagles smallest! 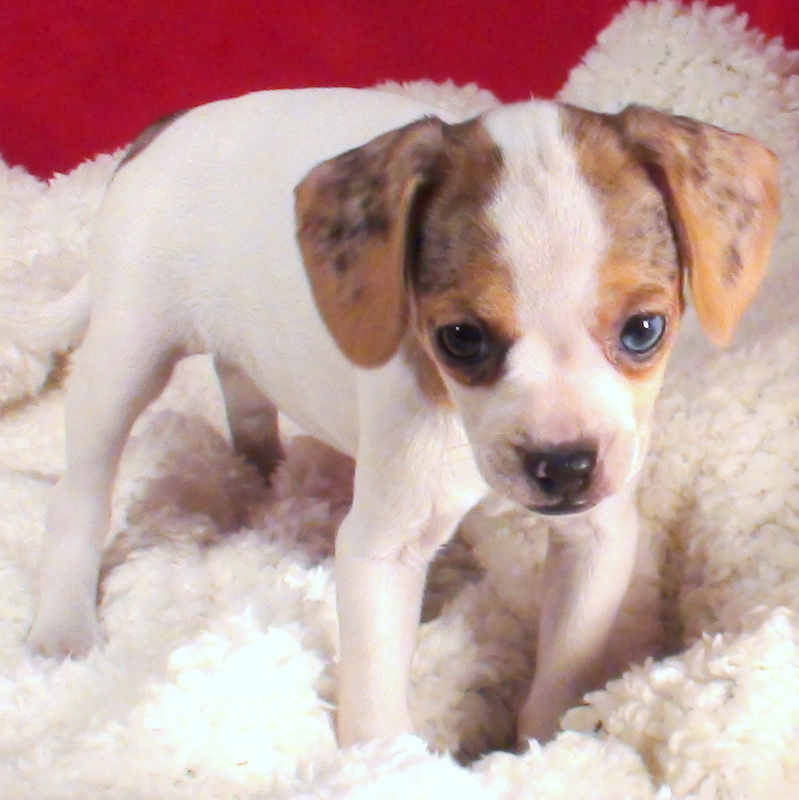 More babies like this are coming: Go on the Waiting List to be notified and get first pick! 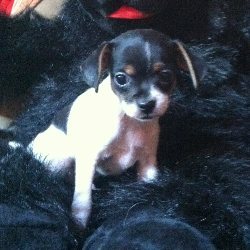 What are Queen Elizabeth Pocket Beagle Pixies? 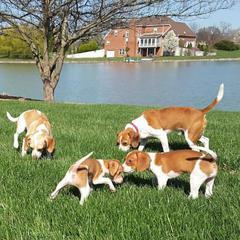 Queen Elizabeth Pocket Beagles that are extraordinarily small are also called Pixies. 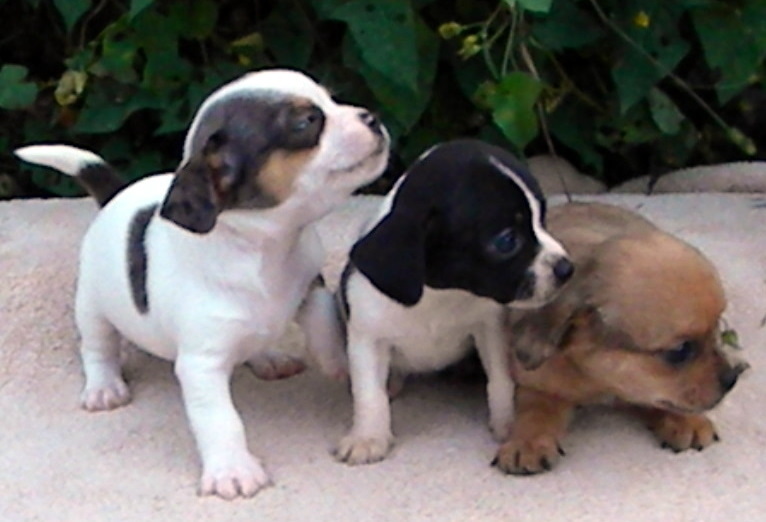 They may not look just like a classic beagle, but they are sure to have character and a charm that exceeds their diminutive size. They come in all colors and patterns. They are warranted one year against health defects just like the bigger Queen Elizabeth Pocket Beagles. Videos below feature many of her offspring and their later puppies too! Scooter with his family--he's the little one! 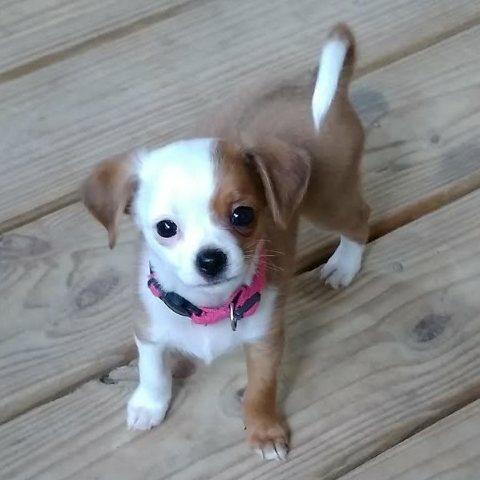 So small he's a Pixie! 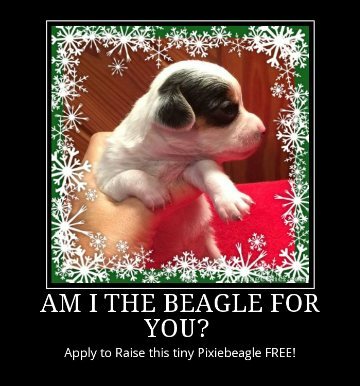 Queen Elizabeth Pocket Beagle "Pixies" are the smallest beagles to be had! 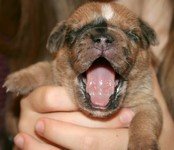 Congratulations to Devi for reservation of Chaz!